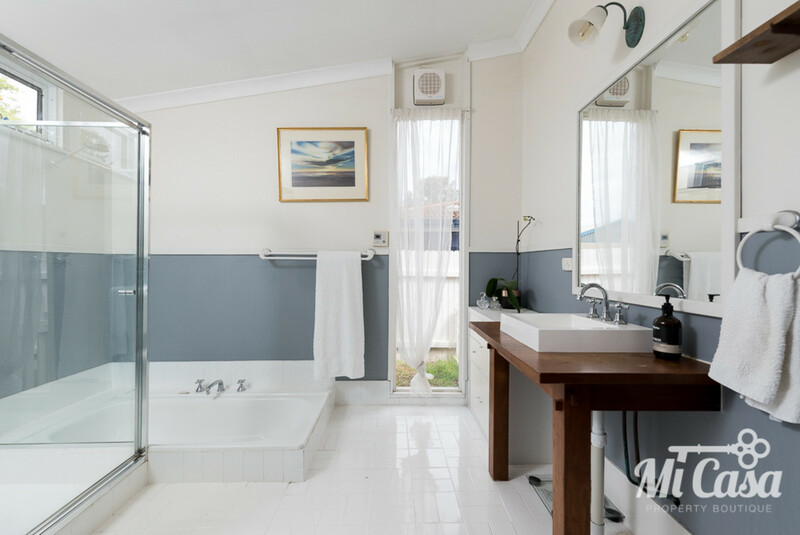 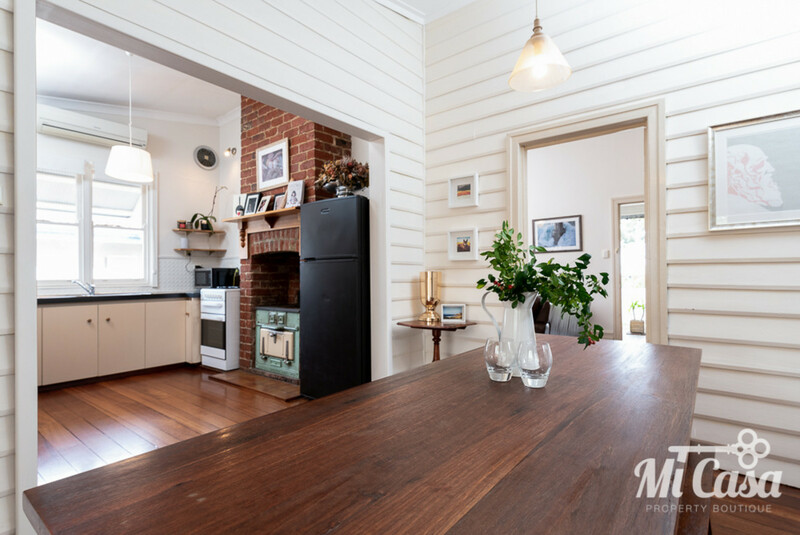 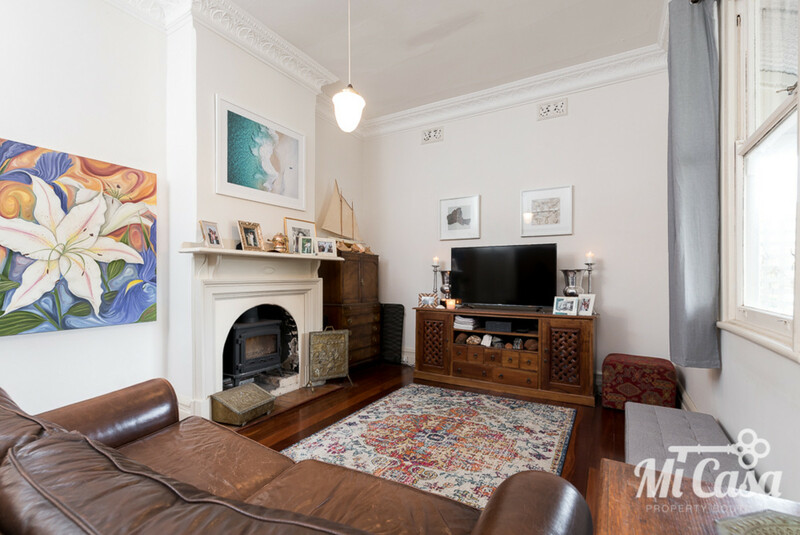 This classic early 1900s jarrah weatherboard cottage with much to offer will captivate you with its charming and typical features of the era. 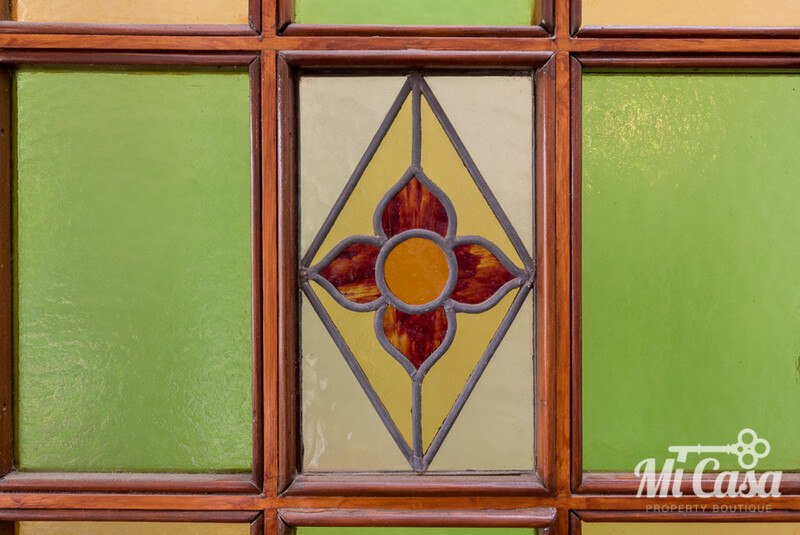 The pretty as a picture frontage will draw you in wanting more. 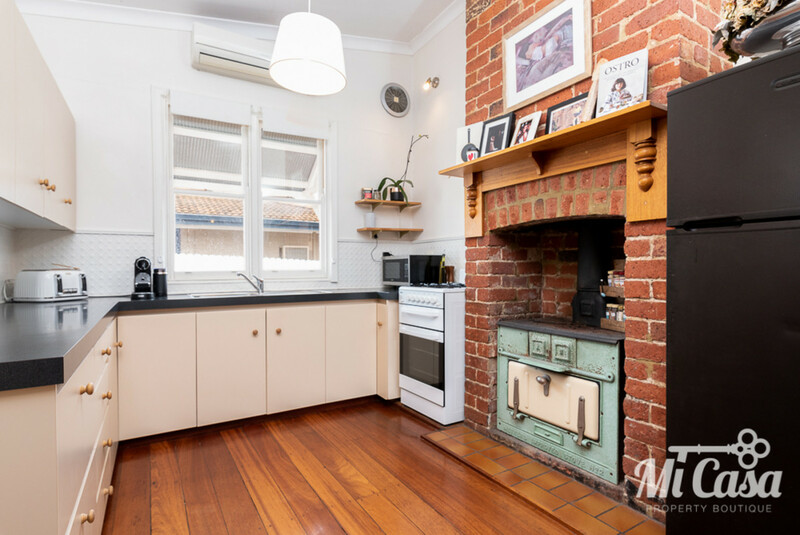 With a north facing aspect and situated in one of Palmyra’s best streets, nestled behind gorgeous shady trees and a white picket fence this cute cottage will give you a warm and welcome feeling. 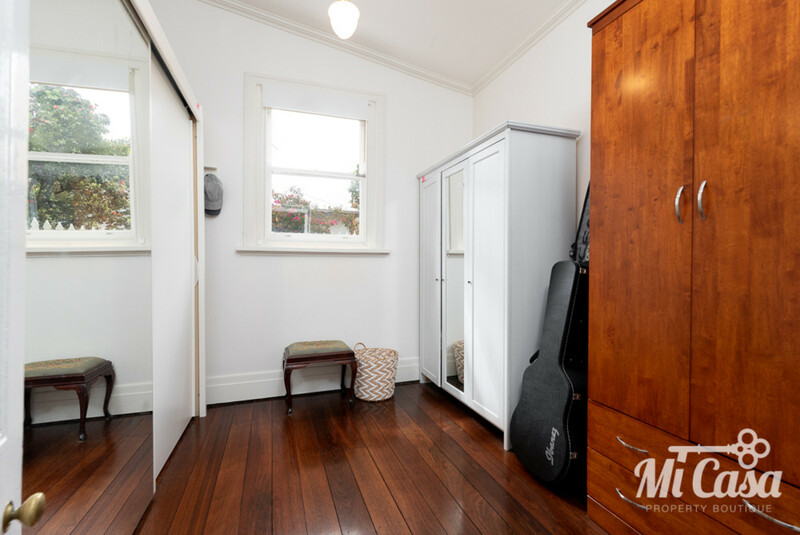 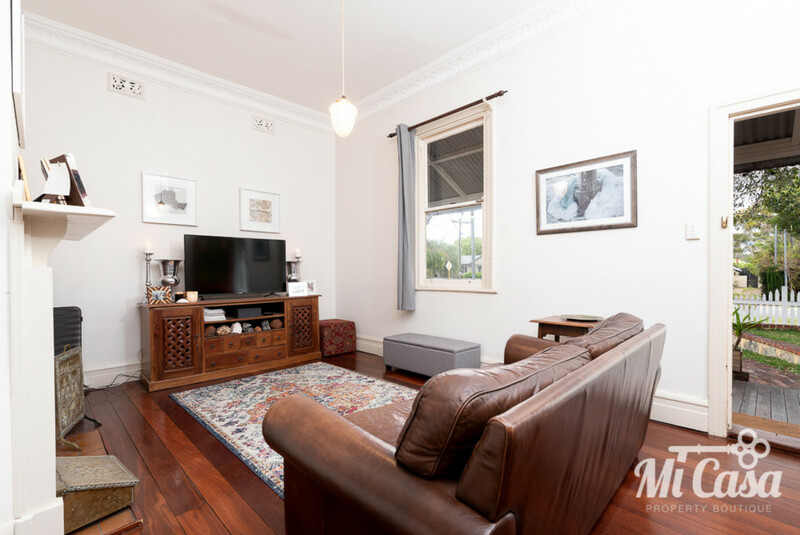 Situated only a short walk to parks, cafes, local primary school and the famous Sunday farmers markets you will truly love everything this location and gorgeous home have to offer. 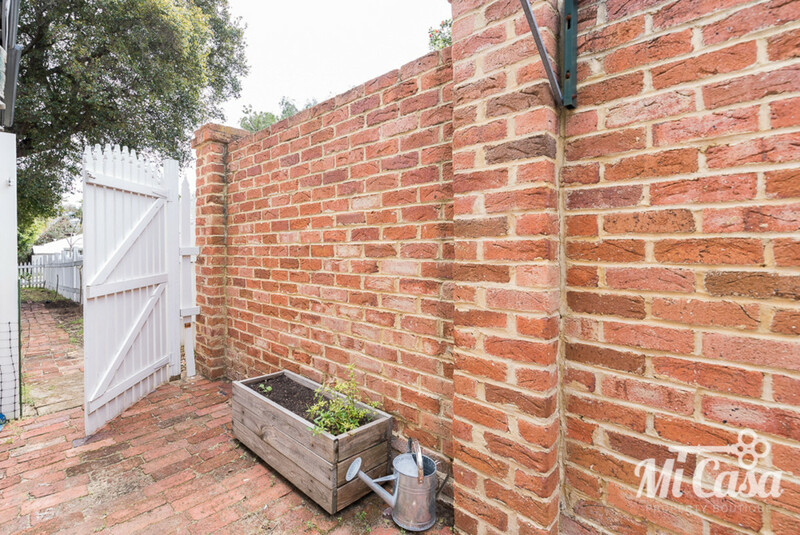 The charming white picket fence and gates invite you to meander through an established lawn and gardens up to a timber deck and covered veranda. 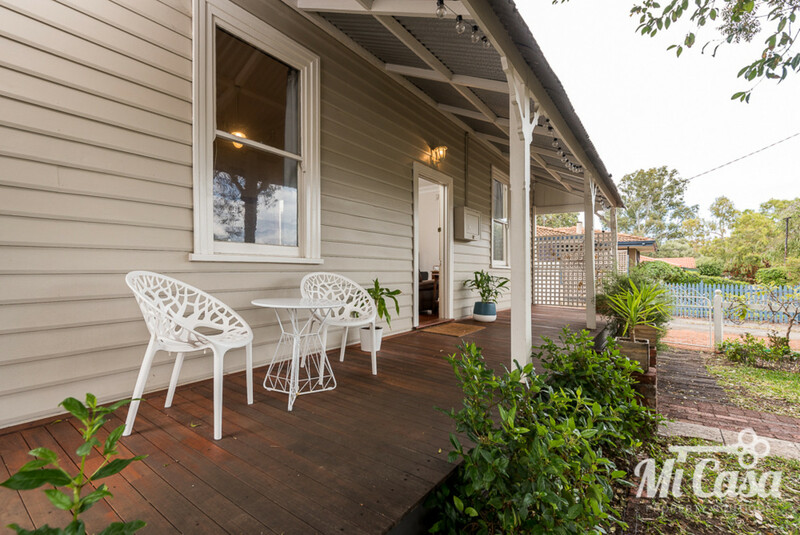 This provides the perfect vantage point to sit with a cup of tea while watching the children play on the front tree swing. 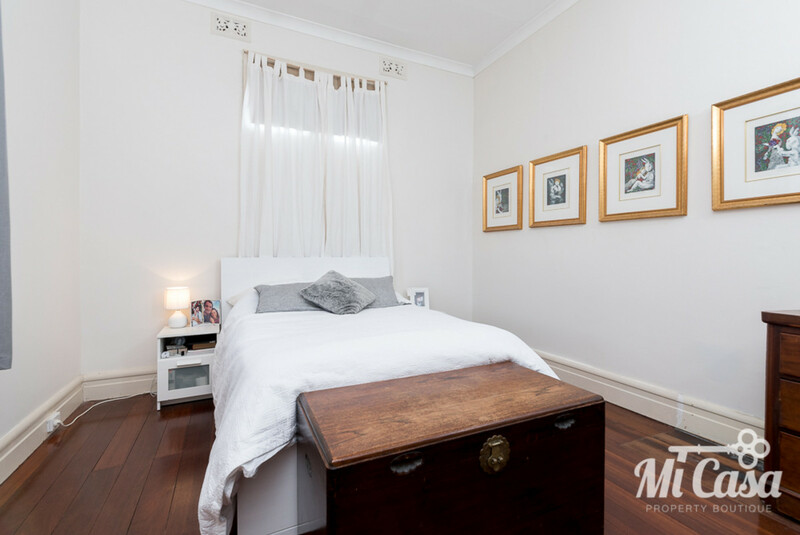 Upon entry you will be greeted with a welcoming lounge room complete with gorgeous high ceilings, sash windows and fireplace. 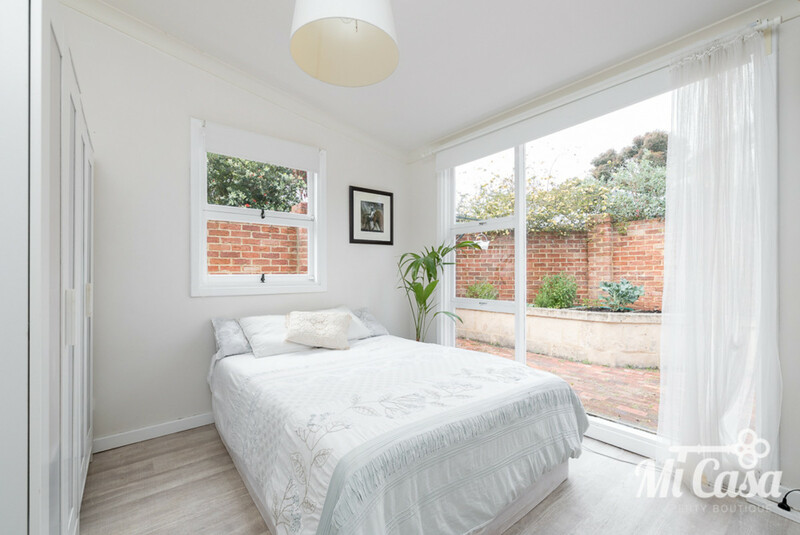 Opposite is the large master bedroom, with a pretty view of the front garden ideal for lazy Sunday morning breakfasts in bed. 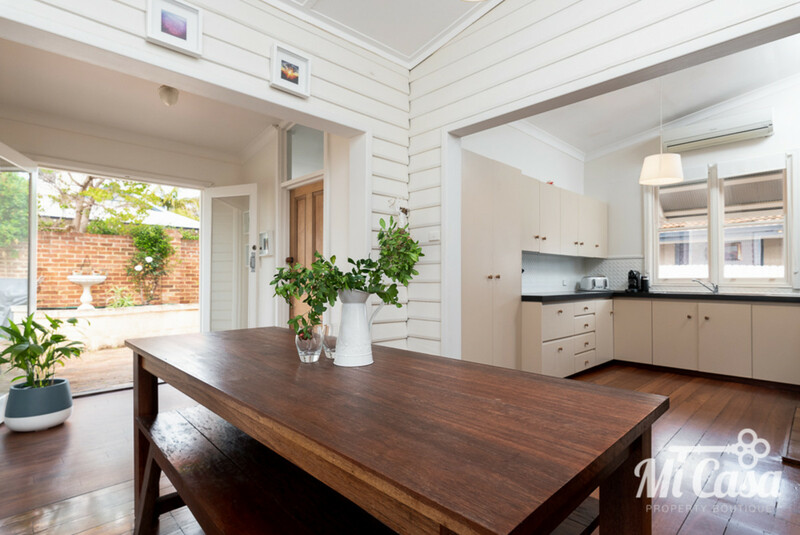 Further in, you will be amazed by the open plan bright and light dining and kitchen area, truly the hub of the home. 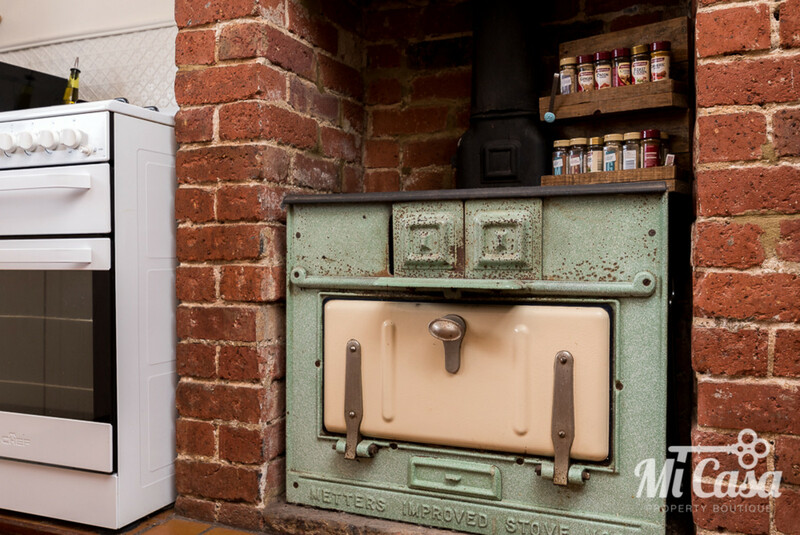 The kitchen is well appointed with the original wood fired Metters stove still intact for that little bit of extra old world charm. 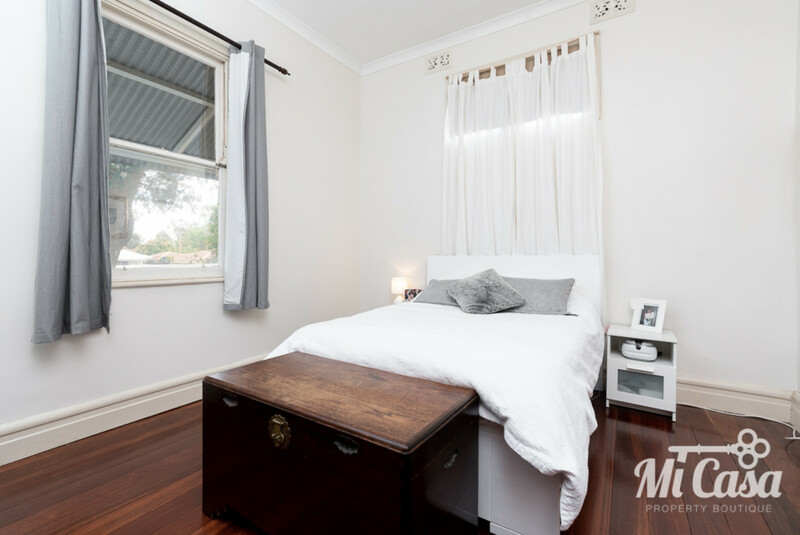 Nearby, you will also find the remainder of the bedrooms, laundry and modernised bathroom including bath, shower, WC and vanity. 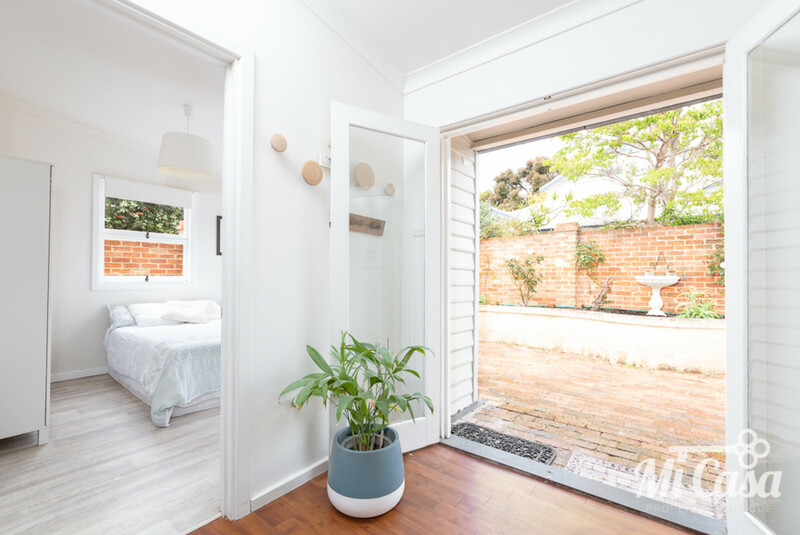 The timber double French doors lead you to the private and spacious rear outdoor space which is ideal for summer entertaining. 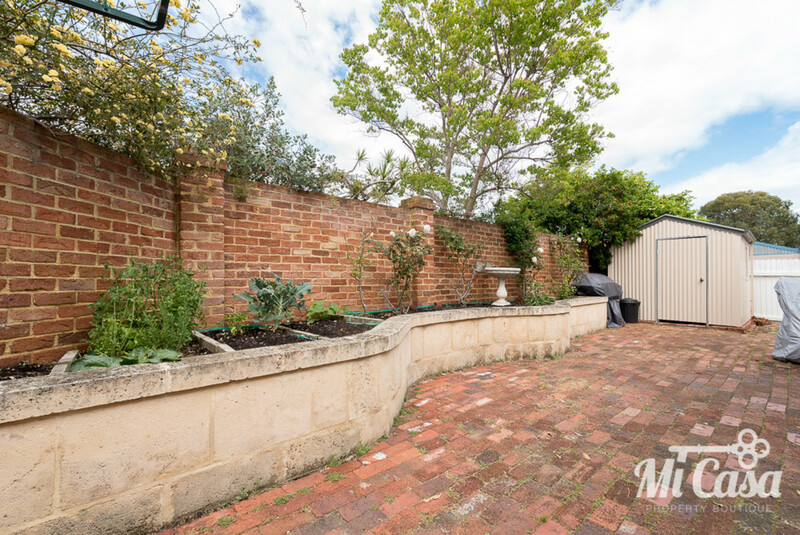 With gorgeous recycled brick paving and a pretty backdrop of raised limestone garden beds it truly is a fantastic space perfect for family enjoyment. If you’re looking for a home that oozes character and is in one of the most sought after pockets in Palmyra look no further. 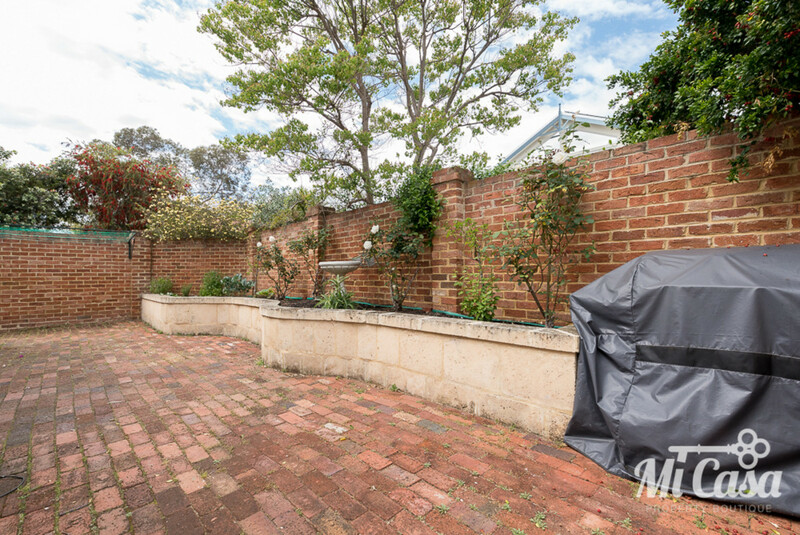 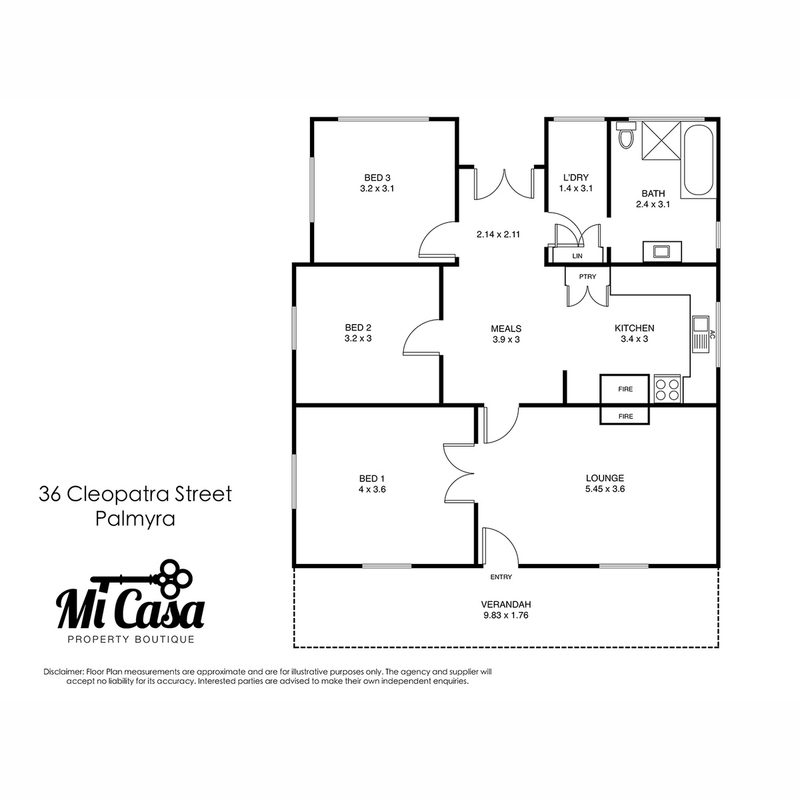 This property is currently tenanted until 15 January 2019.